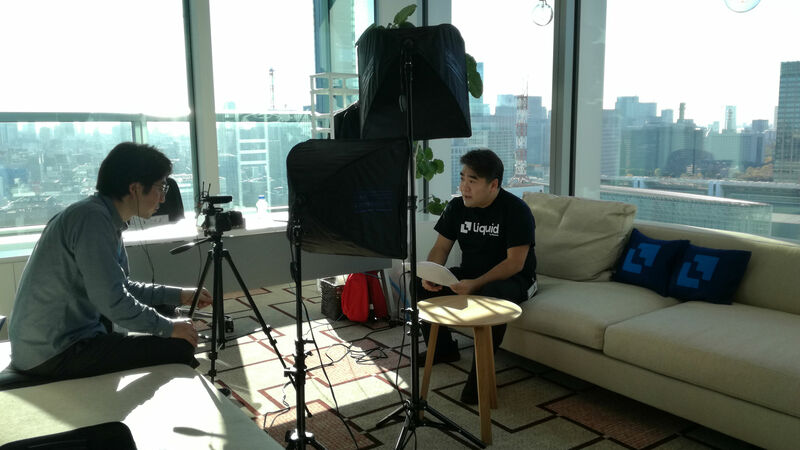 After the one-year anniversary of the QASH ICO, Liquid CEO Mike Kayamori sat down to answer questions from the community. How will Liquid improve withdrawal times? For global users we are looking into a new solution which is a software based hybrid storage system that will break a single key into multiple keys so there isn’t a single key that is vulnerable. With that, we would be able to process withdrawals as many times as we want including on weekends. I hope to have a solution implemented by the end of the year. What’s in scope for the Gemini partnership? We have always been connected to Gemini. They are an External World Book partner. Excited to launch GUSD on Liquid, and we will be working on GJPY. Is listing stablecoins a conflict or interest? The more products we offer, the better for our users. There is no such thing as conflict in this regard. Can the team provide more updates? Blockchain is all about trust. We strive to provide trust to our community. We have learned through experience that giving specific dates is challenging. We work with regulators and external regulators, and incidents in the market can therefore cause us to shift resources, which slows development in other areas. We will always provide updates and information when it is ready. I have been spending a lot of time traveling, and this is for specific targeted partnership opportunities. It is hard to give specifics because both sides of the partnership are involved in announcements, so we have to agree these with our partners. From a the perspectives of World Book partnerships, exchange license, banking partnership, LDL relationships – all of these things we have a lot that we will love to share with you when the timing is right. I would love to update about a couple of these initiatives by the end of the year, but we will have to see. A lot more will come out towards spring of next year around financing, investments, joint ventures, partnerships and more. What’s happening with Internal World Book? We are continuing to improve so we can offer the World Book for other pairs. Stablecoins will probably come first, then move into other cryptocurrencies and tokens. I leave this to Vincent, who is in charge of liquidity and trading. My understanding is by later this year we will gradually be opening up to other pairs, starting with stab coins. Liquidity will increase as it grows. What about the External World Book? As part of Liquid, the External World Book is important, but equal or more important is the Internal World Book where there are multi-market orders. Someone from Singapore can trade with someone from Japan, BTC/SGD can trade with BTC/JPY. The next step will be BTC/SGD to ETH/USD, for example. Regarding the External World Book partners, we have already connected with 19 exchanges. We must think about counter-party risk – it’s not about connecting to lots of exchanges, it’s about connecting to legitimate exchanges that are regulated. We will disclose partners when we can. Some are not comfortable being disclosed at this time. Who will use the LDL? Liquid will be the first customer working on the LDL as a service and a platform. An STO platform will be the first service on the LDL. We believe the LDL is tailored towards the application of security tokens, so we will be working towards that. We want to under-promise and over-deliver in this regard. How does self-regulation impact Liquid? JVCEA is a self regulation organization, and we believe new listings of tokens will accelerate, for example. I think self regulation will be great for Liquid, and will help us move forward. We are very excited about this progression in Japan. Will there be more coins for margin trading? Of course. We will be expanding our margin trading offerings. What happened to Quoine Canada? The North American market is important to us. We are looking into partnerships in Canada and the United States. Blockwave might be part of it, or they might be a specific purpose company such as mining. Mining is a tough business, so when we go in we need to do it right. Nick Chong is our Head of North America. I hope to make an announcement about this by spring. Does listing USDC mean bigger partnerships? We have a great relationship with Circle. Going forward I think there will be much more collaboration. We believe Coinbase is one of the best exchanges in the world, and they are pro-regulation. We have a lot to share with each other such as knowledge. We have at least seven people in our company that worked at Goldman Sachs and we have good relationships with people there. These things take time, but we have continued dialogue with all of these partners. How will World Book settlement be done? Obviously with fiat exchanges we use the same banks, so real time in one day is possible, so it doesn’t have to be T+1. Stablecoins may play a part in settlement, we are open to innovation. Why develop a JPY stablecoin? It will be very helpful for our Japanese traders and customers, and for global as well. If it gets listed on other exchanges customers will be able to move the stable side fast and real time. When will QASH become Liquid Token? When we launch the LDL. What happens to QASH collected as fees? Currently we don’t collect much as fees, but once we do we will use it to strengthen and open the ecosystem. Bringing in developers and dapps, and QASH can be used as an incentive. We can use it to please our QASH holders, airdrops or otherwise. We will not burn it. How does Mike feel about crypto? Very confident about crypto. When I started this company five years ago people told me Bitcoin was dead, and every time something happens they come out and say this again. The intrinsic value is still there. The Internet disrupted so many things, now the internet is disrupting value and money. Gold has been around since before Christ. Crypto is only 10 years old. We have so much opportunity ahead of us. I am never so bullish as I am today. It is in our pipeline. We have a full plan for QASH utility. Real world utility will absolutely come. We want to do it right, so rather than doing it hastily we will take our time and do it properly. When will Liquid have trading fees? This is also in the pipeline. It is interesting because some traders don’t want fees, but QASH holders do. I think it will be within this year, but we will have to see. What role does the LDL have? The important thing is to launch LDL with real use cases. The STO platform is a massive part of this, but it has to have a license. I believe for crypto to go mainstream regulation needs to be driven by the G7 countries. That is important. Nothing against other countries, but I think the economic powerhouses need to lead. There is a reason I have been traveling to Europe. When we really go into Europe we will probably work with a partner there. How to build the Liquid brand? It takes time to build a brand. However, when you look at transaction volume sites, we are always near the top, especially for Bitcoin. Presence in the US and Europe are part of priority for the next coming year to grow the Liquid brand. On big panels or on TV mentioning your personal ventures is frowned upon. I won’t do so unless asked, but I am always wearing my Liquid t-shirt, sharing the brand however much I can. Will Liquid get licensed in US/UK? We have great relationships with banks. In our whitepaper we do aspire to get our own banking license or acquire a bank. These things take time, but there is a reason I go to Europe. We are looking forward to moving into the US and Europe. How will the LDL attract devs? I don’t look at quantity, I look at quality. The LDL is focused on FinTechs, it is not generic. We know what FinTech companies need. Rather than getting 1 million developers, I would like to get 1,000 FinTech companies. We want to be the preferred platform for FinTechs. We know this industry and the LDL will be perfectly tailored towards it. What will take crypto to the next level? Regulation. It is not an option, it’s hygiene. It’s a necessity. If you are managing billions of customer assets, regulators will not let you go. Working with regulators will help bring cryptocurrency to the next level. Will Liquid list big caps? We will indeed. It is all about priority and resources. We want to be a platform that is open. Having small caps that are emerging is important to us too. Every large market cap starts small, and we would love to be the first exchange for these tokens to grow on. Of course, we will have the top 20 or top 30 tokens in the future. Spending time with my family. I have a daughter and a 14 month old son. My family allow me to stay driven and be passionate about my business, because I am able to see my family on my time off. I love my family, and they provide me with amazing support. CEO and Co-founder of Liquid.